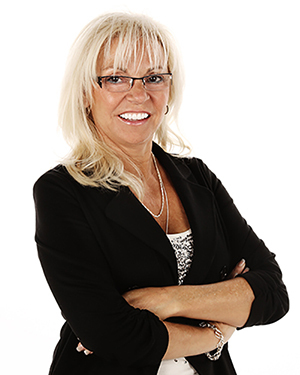 The Mortgage Architects team is proud to welcome Martine Gagné as a member of Lyne Sanfaçon's team of brokers. “I have made the choice to join a winning team” says Martine. “Having known Mrs. Sanfaçon for a few years, I have been greatly interested by her offer to join her team. Meeting with Luisa Simonetti shortly afterwards allowed me to be absolutely certain about my decision. Mortgage Architects have proven their worth on the mortgage market. Their excellent reputation with lenders as well as their cutting edge technology were a big influence on my decision.” concludes Martine. "Mortgage Architects have proven their worth on the mortgage market. Their excellent reputation with lenders as well as their cutting edge technology were a big influence on my decision..."
“Martine has a broad experience of more than thirty years in the banking field, ten years among which she worked as a mortgage specialist. Her business network has allowed her to make an impressive number of deals among the years. Her excellent performance has allowed Martine to receive numerous honorable mention awards in the field.” says Luisa Simonetti, Vice President, Eastern Canada. “We are happy to welcome Martine among our network of Mortgage Architects planners. Thank you for your trust for being a part of a growing business.” says Luisa Simonetti.